Mis·cel·la·ne·ous: consisting of members or elements of different kinds; of mixed character; having various qualities, aspects, or subjects. Posts in this category pertain to miscellaneous topics not covered by other categories. State public health officials say two babies were accidentally switched at a southern Illinois hospital, with one of the infants sent home with the wrong family. Officials say the mistake happened in March at Heartland Regional Medical Center in Marion and involved two newborn boys. Hospital workers soon learned of the error and immediately contacted the family. Apparently, this hospital gives free car seats to all babies born there. Just make sure you're putting the right baby in that car seat! 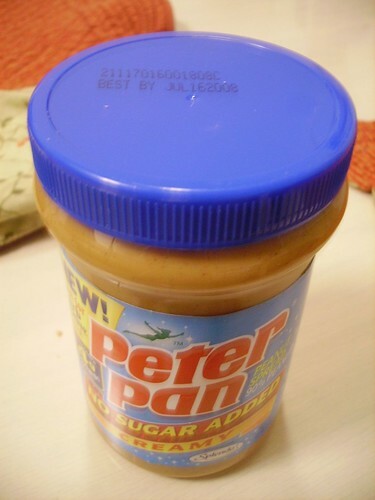 The jar of peanut butter that we just bought was included in the recall of ConAgra-packaged Peter Pan and GreatValu peanut butter with lot numbers starting with "2111". As far as tech nightmares go, this one might be worse than Y2K. The US Congress changed the rules for Daylight Saving Time, starting in 2007. This year, rather than spring forward the first Sunday of April and fall back the last Sunday in October, DST will begin on the second Sunday of March, and end the first Sunday of November. Growing up in the then-non-DST-observing Indiana, I still find the whole DST process foreign enough that I don't have a set routine. So for me, I make the change when I'm told, and move on. However, many of today's advanced consumer electronics have programmed algorithms for DST - and reprogramming these devices might be impossible, potentially requiring manual changes four times a year. 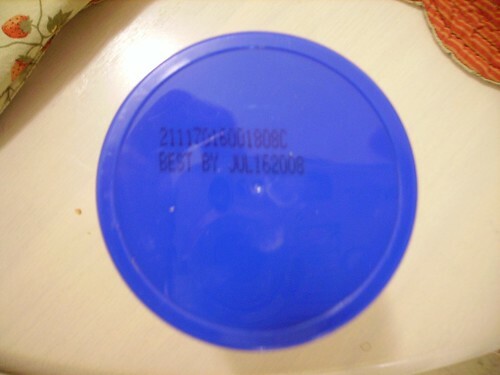 Worse, as with Y2K, legacy computer systems and software may not account for the new changes properly, leading to potential - and unknown - consequences. Microsoft has established a help center to deal with the change as it impacts their products. Update: Blogrolling appears to be working again, so the blog rolls have been re-enabled. Top 10 Ways to Motivate Geeks, from Retrospector, with a follow-up post. I would say that it's scary how well his list resonates with me, but as I've always said, I embraced my Inner Geek a long time ago! Maynard Ferguson (1928-2006) died yesterday. His name is familiar to every trumpet player and everyone who used to play trumpet--like me. Probably 90 percent of those who, as kids, grew up playing trumpet in band class, and tried to emulate a great trumpet player, tried to emulate Maynard. There was nobody like him in the business--his sound was unique in its virtuosity of power. Count me among those who tried to emulate his sound. I still remember the evening of a high school wind band concert, during warmups, when the director was taking the band through arpeggios, and I accidentally started on middle G instead of low G, and the director went two octaves instead of just one. In a fleeting moment of brilliance, I nailed every note in tune up through the double-high G and back down - then sat red-faced, both from the exertion and from the embarrassment of the director's look of astonishment and his pronouncement that, "ladies and gentlemen, Maynard Ferguson is with us tonight!" Apparently, he died of liver and kidney failure, due to an abdominal infection. (According to the article, a memorial service will be held here in Saint Louis.) In life, he impacted many, and with more than just his musical abilities. Someone just said, 'Gabriel, move over to second trumpet,' He was the last of the greats. That era is closed. There is no Kenton, no Basie, no Ellington, and now, no Ferguson. The music world lost one of its greats. The Indianapolis area had the most affordable housing among major metro areas in the second quarter, according to the National Association of Home Builders and Wells Fargo. Eighty-seven percent of Indianapolis-area homes were considered affordable for families earning the region's median household income of $65,100. In the nation’s most affordable major housing market of Indianapolis, 87.4 percent of homes sold in the second quarter were affordable to families earning the area’s median household income of $65,100. The median sales price of all homes sold in Indianapolis during that time was $120,000, which is up from $113,000 in the previous quarter and equivalent to the median sales price for Indianapolis homes sold in the final quarter of 2005. Interestingly, Saint Louis isn't all that far behind: the median house price is $127,000, which is affordable for 79.1% of the population, at a median income of $65,800. Another note: I apparently missed a golden opportunity to buy a house, as housing prices plummeted in 06Q1, and then recovered in Q2. The View From Her delivers some excellent grammatical advice for bloggers. Carnival of the Cats at Scribblings. Friday Ark at The Modulator. This week's Carnival of the Cats is hosted this week by Justin's Random Thoughts, assisted by the apparently xenophilic Bruiser. I am, of course, included. How could I not be?